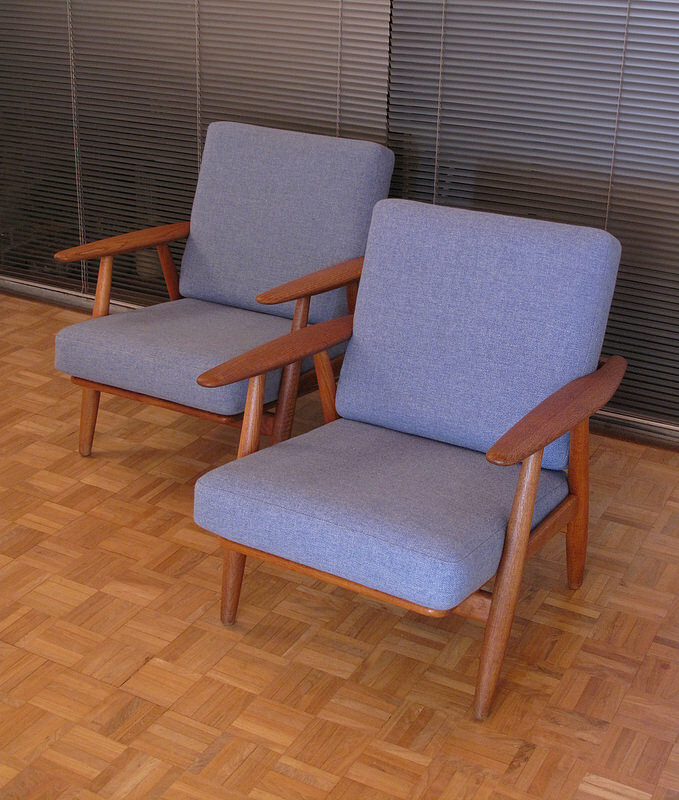 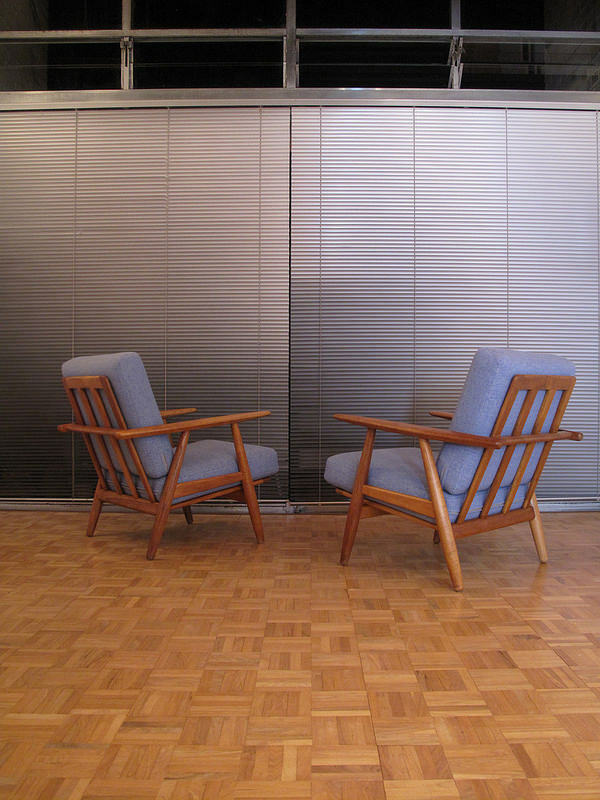 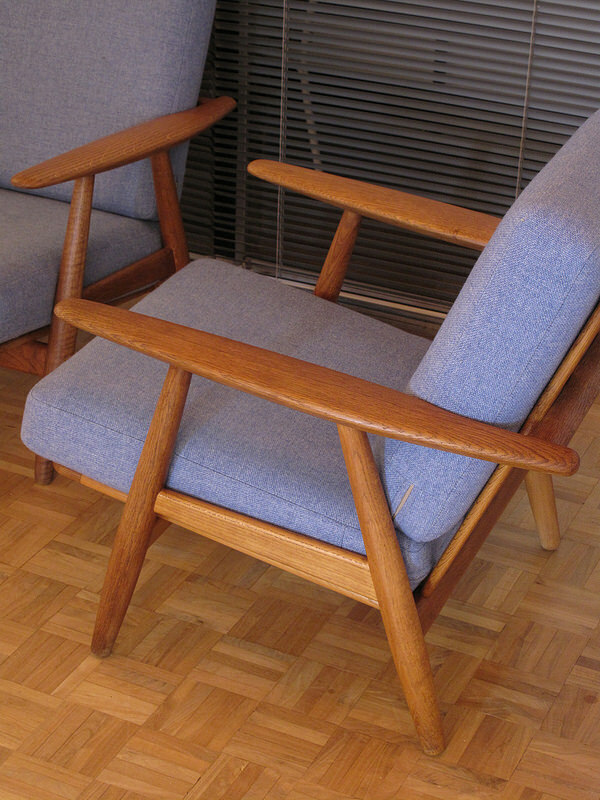 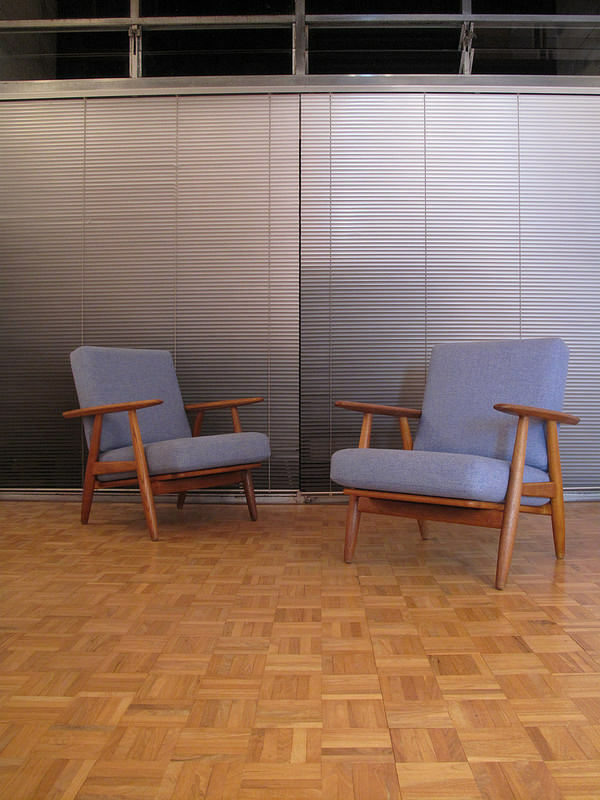 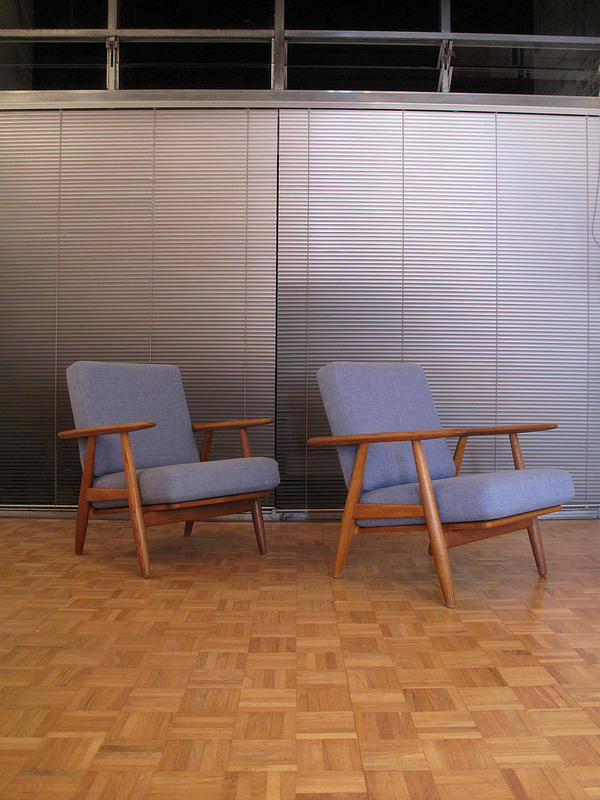 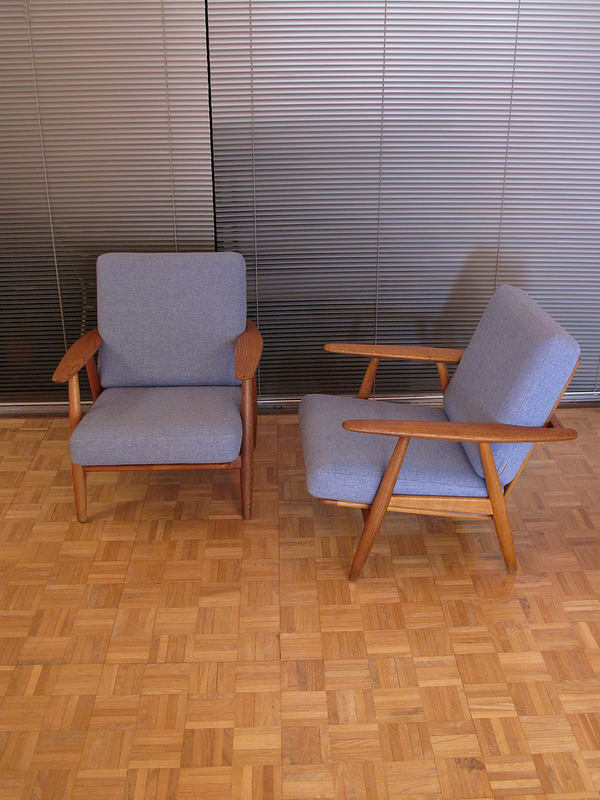 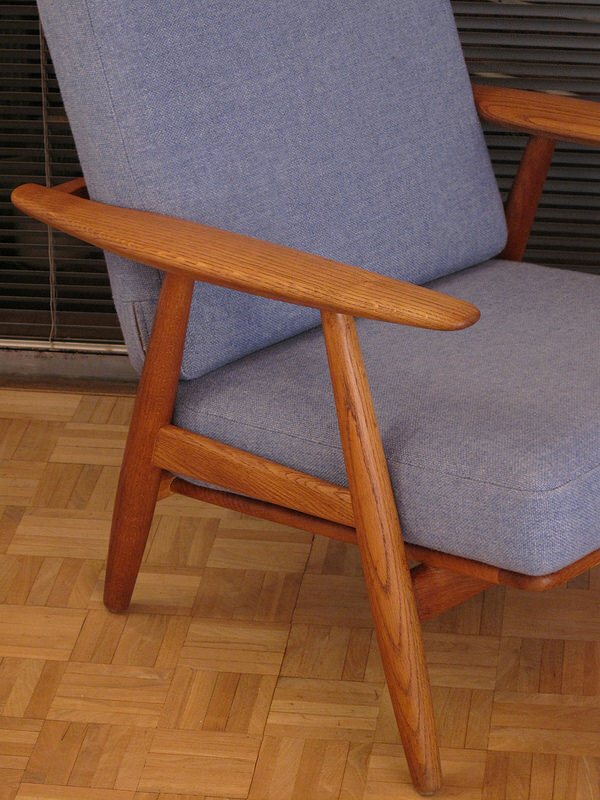 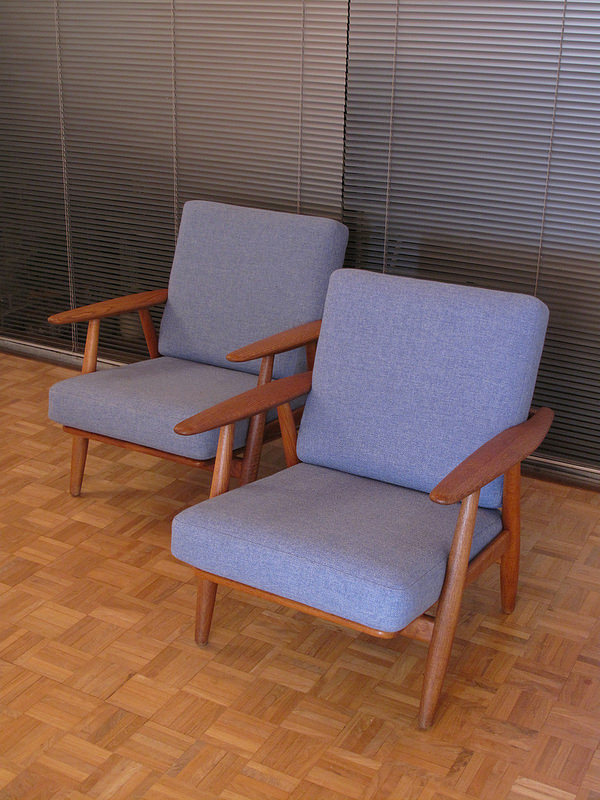 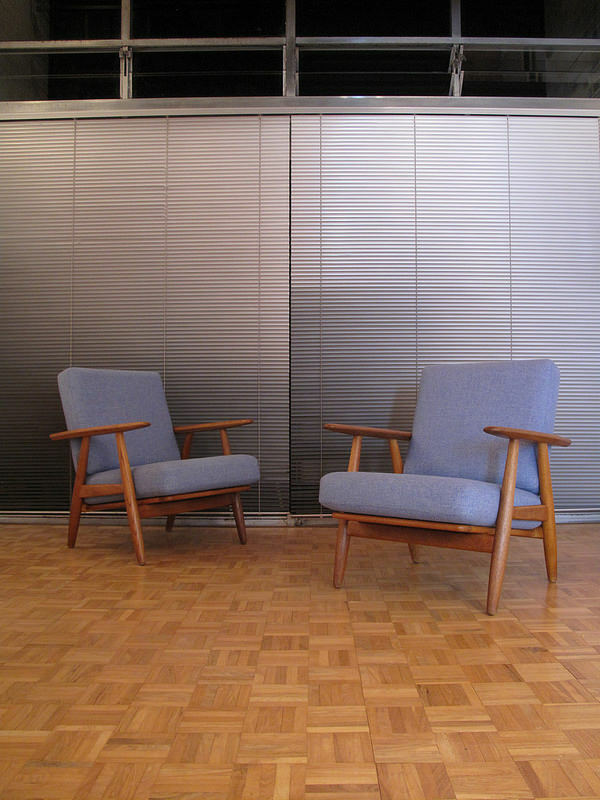 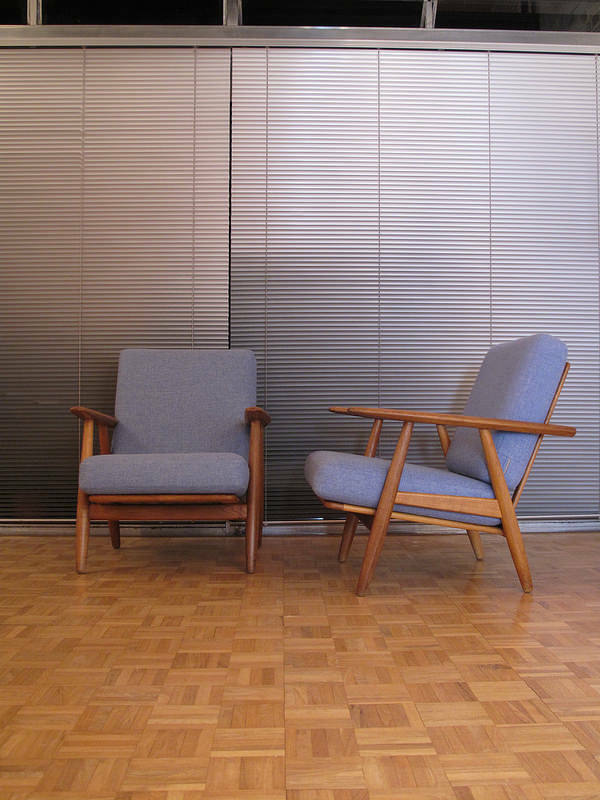 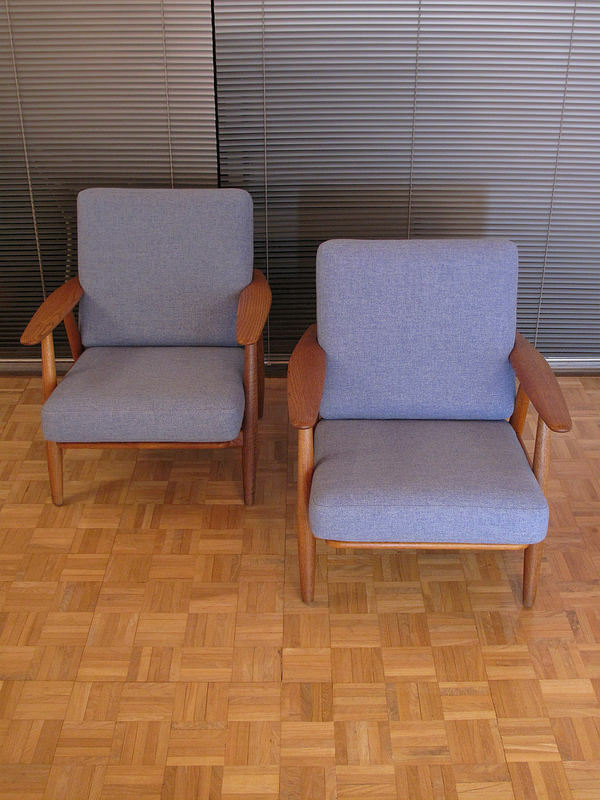 An extremely nice pair of Solid Oak GE240 chairs designed when Hans Wegner was at the peak of his career in 1955. 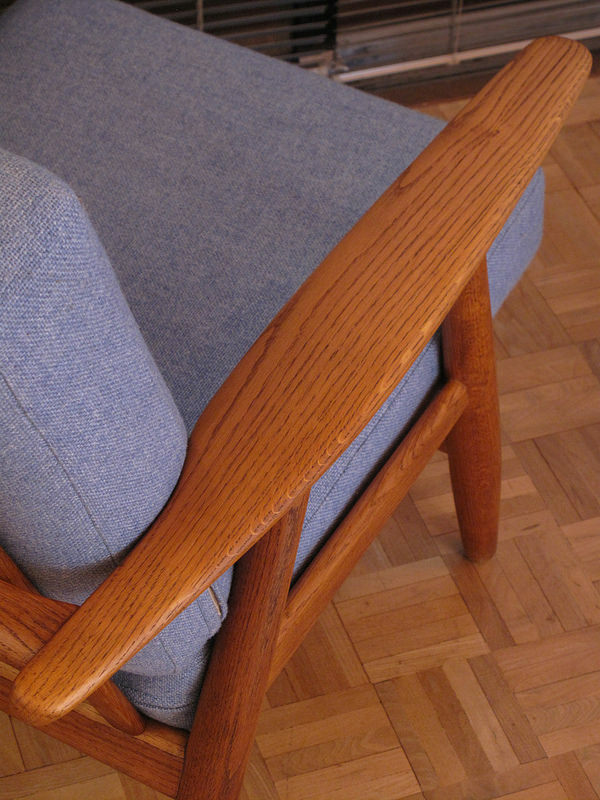 Complete with the original sprung cushions covered in a high quality duck egg blue wool which compliments the honeyed tone of the timber perfectly. 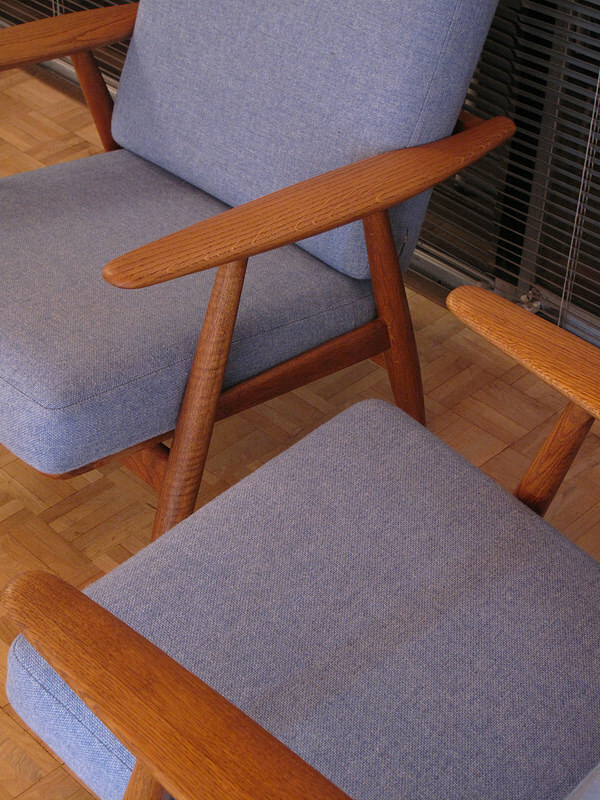 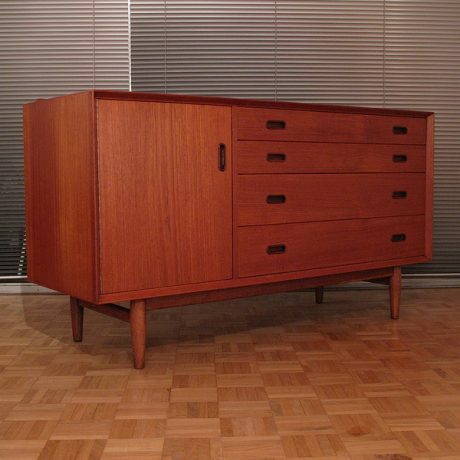 Some very nice timber grain displayed on these examples. 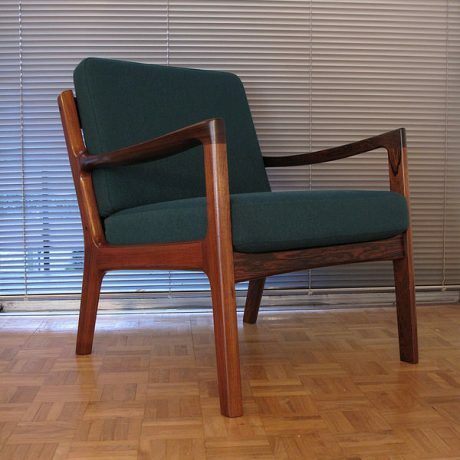 Offered in excellent condition with the designer and manufacturers brand to the underside of each chair. 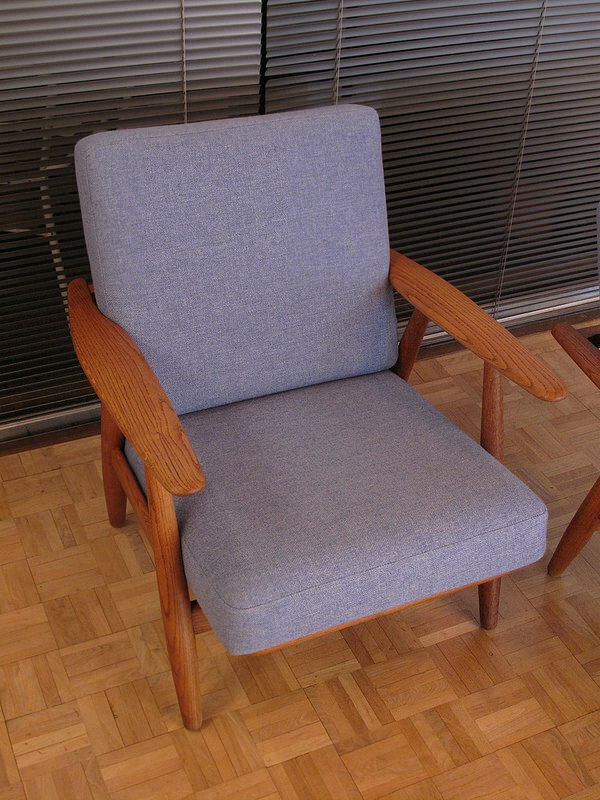 DIMENSIONS: 68cm Wide x 75 Deep x 78 High. 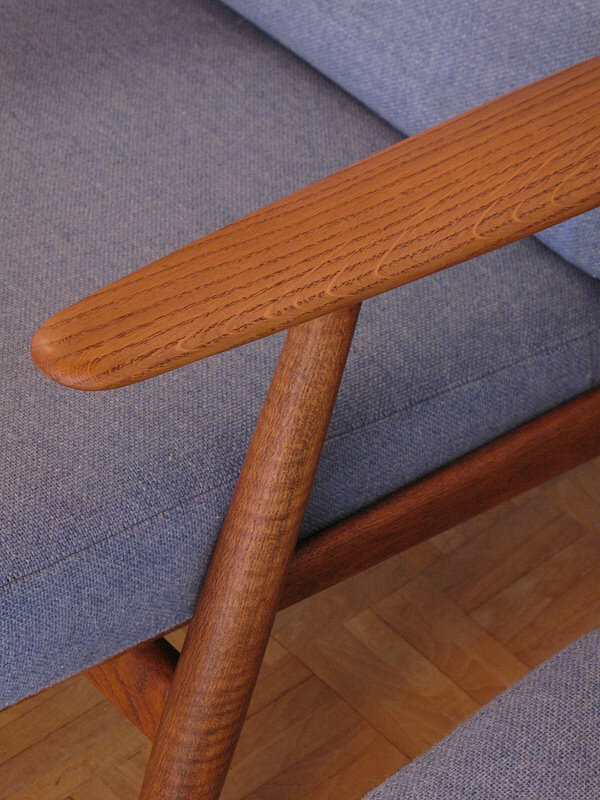 Seat Height 41cm. 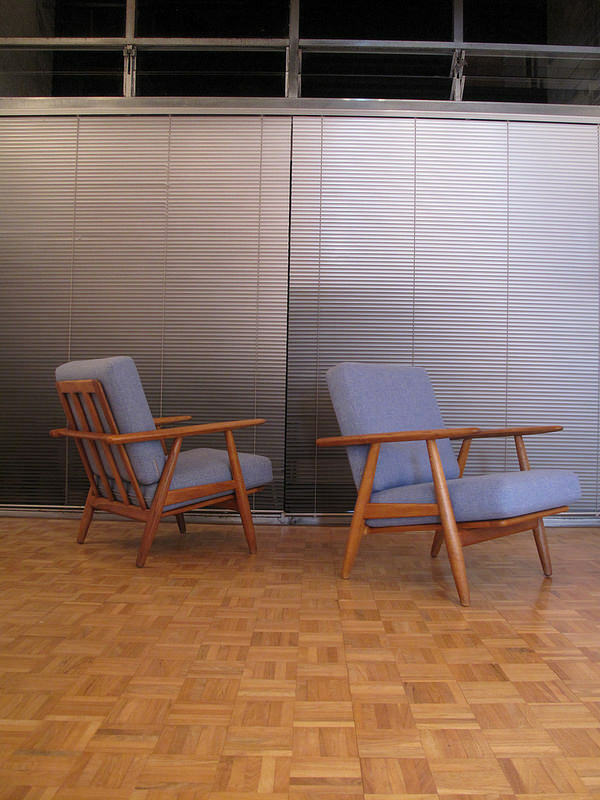 All text and images © Timothy Bubb — MCM Interiors.